Departure Location: 305 Lincoln Road (Main Office) Miami Beach FL 33139 or Hotel Pick up. MiamiDoubleDecker.com offers a fantastic and completely awesome Key West Double Decker Bus Tour. 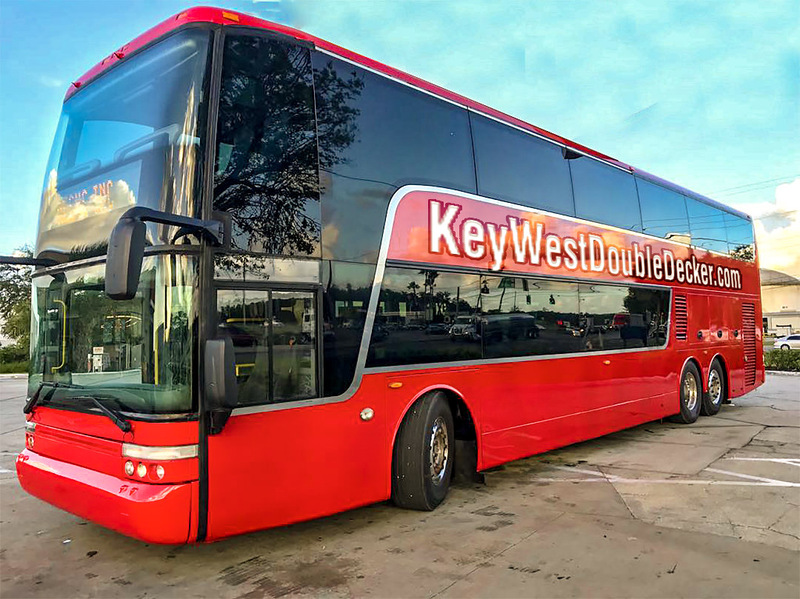 The way it works is simple, book the Key West Double Decker Bus Tour and then pick from a list of add-on adventures, such as snorkeling, para sailing, jet ski rental, boat trips to the Dry Tortugas, the Conch Train, and the Key West Trolley are just some of the optional add-ons for your Key West Adventure. If you just want transportation to and from Key West then just book the basic Key West Shuttle and leave-off any add-on adventures. You will be transported from Miami Beach to Key West with a couple of Scheduled rest stops on the way down to grab a quick snack and to use the facilities. If you need to stop more than that for a bathroom break along the way just ask your Tour guide they will do their best to accommodate all requests. The Ride down to Key West is approximately four hours so you leave early in the morning and have the better part of the day to jet ski, parasail, snorkel, or just walk around. Key west is so much fun you will certainly want to go again soon!